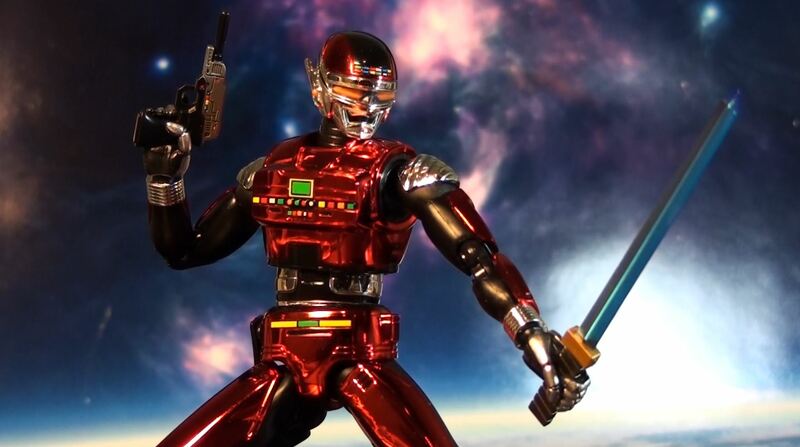 Metal Hero fans rejoice, the 2nd of the Space Sheriffs joins Bandai’s S.H. 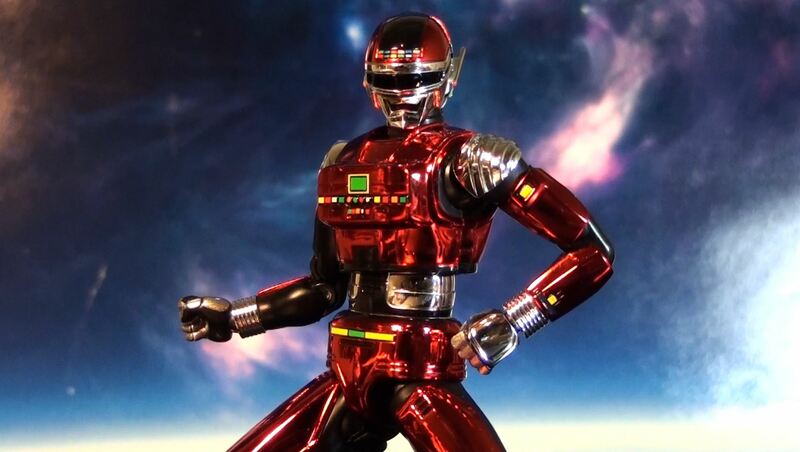 Figuarts action figure series. 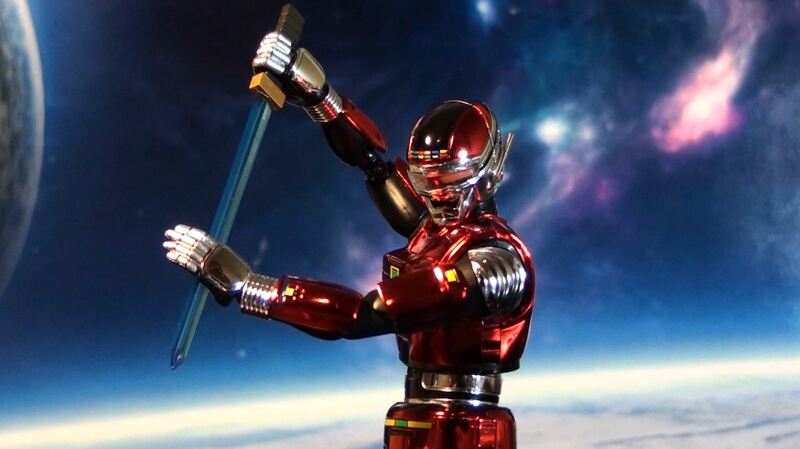 Here’s the red warrior Sharivan. 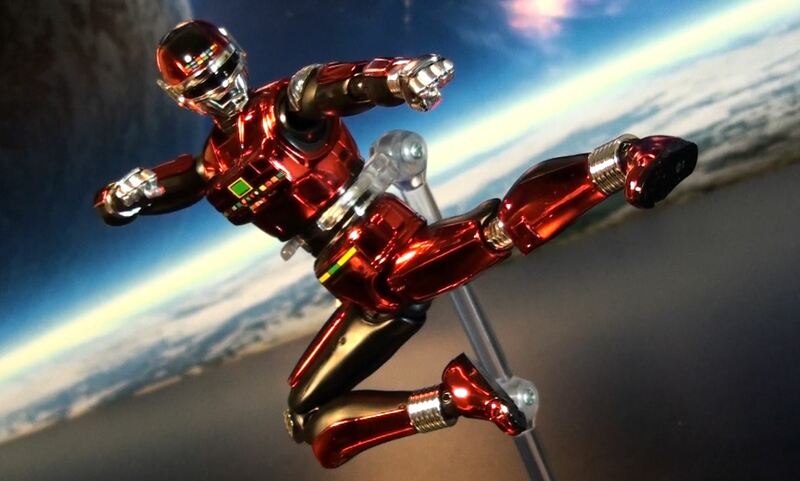 Highly pose-able, amazingly sculpted, and given an amazing metallic red color treatment, this figure is out of this world. 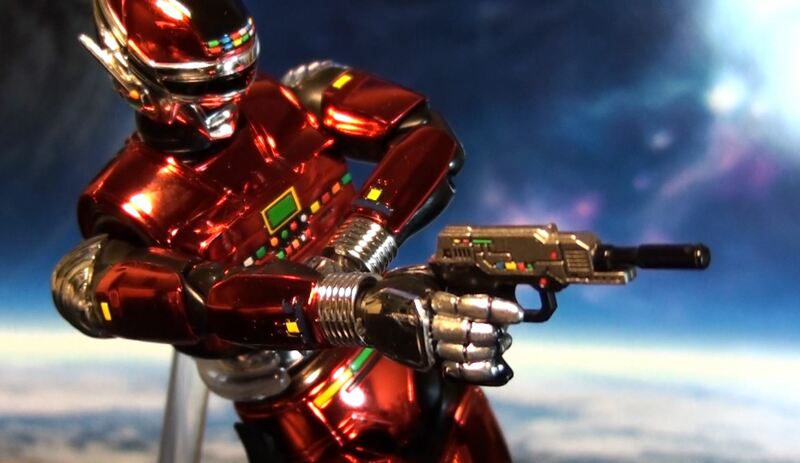 Included are extra hands, crimebuster handgun, 2 versions of his laser blade, and an alternate light up eyes head. 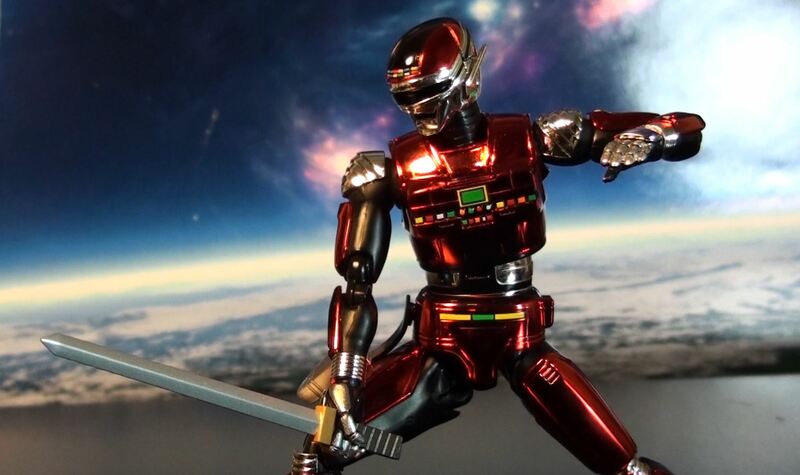 This is a Tamashii Web exclusive and sells a bit higher than normal ($85).